I'm about to acquire a 2011 Gibson Midtown Standard with Bigsby. I tried it and really liked the feel. Has anybody owned one and liked it? It's kind of a unique take on a ES and a Les Paul with a non arched top and a chambered body. It lends itself to more of a brighter sounding guitar than the ES line. I’m thinking jhawkr May have one of those without the bigsby. I seem to recall Reverendrob has a Midtown. They get good reviews, and it's an affordable alternative to a 335. Yeah the one I'm buying is nice. It's used but in great shape. It's a 2011. I already own the other Gibsons such as the 335, LP Custom, LP Standard, SG Standard, and a LP Junior Special with P90's. The Midtown is just something different and a great alternative to the gear vault. I have something even odder than a Midtown. A no-f hole 339 with only a Dirty Fingers in the bridge. They went over like lead bricks on the market, but I loved the color and at the time figured it was the closest I'd ever get to a real Gibson DC at a price I could afford. Now I have two blue ones! I think semi-hollows with no F holes are a great design. Gretsch made a bunch of them in the 1960s, and *painted* the F holes on 'em. 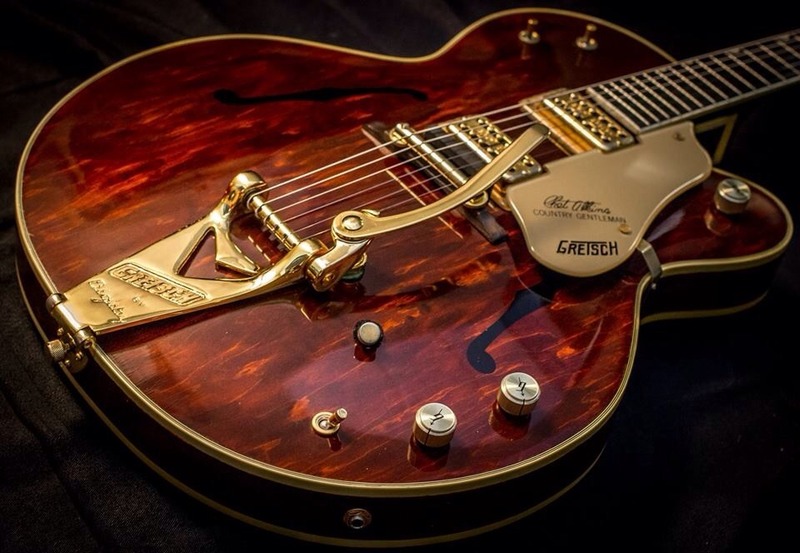 This was done because Chet Atkins Hisself met with Gretsch leadership in 1961 and explained that solid-body guitars would push hollows aside because they fed back too easily at stage volume. The F holes were important to guitar players, but not important enough to be real. Goofy! Further proof that guitar players listen with their eyeballs too. Well, that’s also one less place the basement chipmunks can hide. Yea, I'm guilty of that - I wanted a DC of some stripe for a long, long time and the 339 checked all those boxes in a color I liked (a rarity for me). I also correctly surmised they wouldn't be repeating the mistake of that guitar. I now own it! Restrung, all set up and ready to rock. I bought a Midtown Custom back in 2012. I was looking for a 335 on the cheap. The only thing it had in common to a semi hollow is the body shape. IMO what it is is a les Paul with a different body shape and better fret access. If you are looking for a lightweight alternative to the les Paul with much better fret access ,this is it. The neck on mine was toothpick thin, so I ended up selling it . Solid guitars in their own rite, but a 335/339 it isn’t. I like the the neck on mine. Not too thin so I guessed I lucked out. There is also a video on Anderton’s Music where they compare the Custom to the Standard and the Standard sounded and felt different. You are right about the weight and tone. Very similar to a Les Paul without the weight.